Where to visit in Shanghai? Has listed some of the most Famous Places of this city, Best Places to visit in Shanghai is aiming to find you the way to explore the hidden beauty of this bustling commercial city. 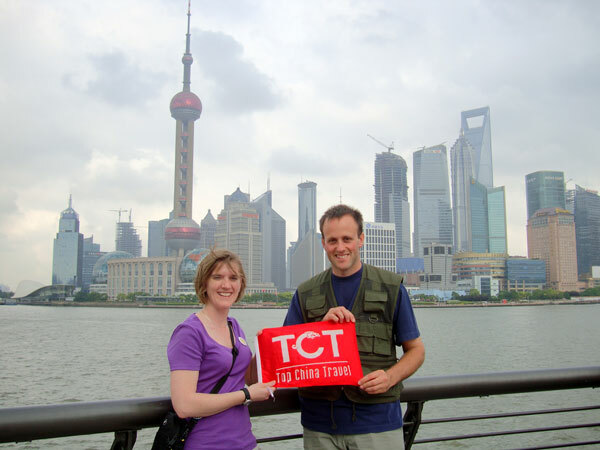 As one of the major tourist destinations of China, Shanghai enjoys superb cultural and natural resources. Travel with TopChinaTravel, you will not have chance to visit the modern side of this city, you will be impressed by the elegant gardens, ancient temples and multi-cultured architectures that built decades ago, etc. The Bund, Shanghai's famed waterfront promenade, stretches 1.5km along the west bank of Huangpu River, is known as the “the exotic building clusters of Shanghai”. And it is one of the most popular attractions in Shanghai. Facing the modern skyscrapers Oriental Pearl TV Tower and Jinmao Tower across the river, the Bund is a big stage displays its rich collection of early 20th-century architectures. These buildings were built respectively during the 20s and 40s of the 20th century with different architectural styles but were well harmonized. The buildings are all decorated with floodlights. At night, the Bund is brightly lit, glittering and dazzling to the eye. It is the symbol and mark of Shanghai. Located in Huangpu District, the central area of Shanghai, Yuyuan Garden is the only fully restored classical Chinese garden in Shanghai. It was built in 1559 during the Ming Dynasty, as a private garden. As a paragon of the south Chinese landscaping style of the Ming and Qing dynasties, nowadays, it is a MUST for all visitors to Shanghai. Although the Garden occupies less than five acres, demonstrates perfectly the sophisticated art of combining several different elements to create a world in miniature - ingeniously mingling pavilions and corridors, small hills and carefully selected and well-placed rocks, lotus ponds, bridges, winding paths, and trees and shrubs. Jade Buddha Temple is a Song-Dynasty-style construction located in downtown Shanghai, which was first built in Jiangwan County in 1882 to worship the 1.9-metre-high white Jade Buddha Statue that carved in Burma. In order to make it convenient for the adherents to visit, it was bodily moved to Shanghai City at the present sire in 1918. Jade Buddha Temple is one of the Shanghai must-see attractions, and till now, it still be an active one that with 70 resident monks at last count. The most famous thing of Jade Buddha Temple is not the architectural idea which was conveyed in Song Dynasty, the valuable essence lies in the Buddha figures. Located in the Pudong District, Shanghai Oriental Pearl TV Tower is a very popular tourist attraction of the city. Completed in 1995 to a highly innovative design, Shanghai Oriental Pearl TV Tower has become a symbol of excellence in architecture and is a favorite sight for tourists in Shanghai. With a total height of 467.9 meters, facing the European-style architectures on the Bund, the other side of the Huangpu River, the tower is with multi-functions for sightseeing, catering, shopping and amusement. The sightseeing floor is located at 263 m, from where people can have a bird's eye view of the busy and bustling Huangpu River and the Bund. The tower can receive 6,000 visitors everyday. 5.5 km in full length, Nanjing Road enjoys a reputation as “the most bustling commercial street in China”. Actually, it was the earliest commercial street in Shanghai since the city opened to the outside world. Today, it is an ideal place for shopping, where you can purchase things (home or broad), ranging from the clothes to the watches, from cell phone to jewelry, all the luxurious things as well as elaborate goods. In the day time, the street is crowned with visitors and when the night falls, the colorful neon lights make the street more attractive.